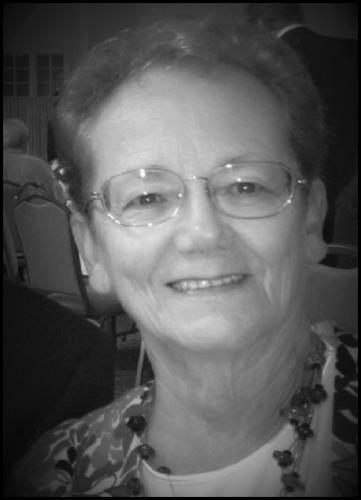 GeorgaDee MacLeod passed away unexpectedly on November 10, 2018 at Providence Hospice. Born GeorgaDee Martin on May 30, 1938 in Canonsburg, PA, her family settled in Everett, WA, in the 1940’s. GeorgaDee graduated from Everett High School in 1955 where she was active in sports, clubs, and other activities. She attended the University of Puget Sound where she majored in Theater Arts and graduated in 1959. GeorgaDee returned to Everett after college where she met her husband of 55 years. John MacLeod. They were active in local theater and enjoyed boating and camping. She was a stepmother for several years until they had their two daughters, WendiLee MacLeod and MeganJo MacLeod. GeorgaDee worked at GTE, then Johnson Printing in Everett for 26 years. GeorgaDee was passionate about reading and learning and this flowed over into all aspects of her life. She volunteered in her children and grandchildren’s schools, she volunteered as a literacy teacher at EvCC, she supported the Everett Public Library and Little Libraries. She turned holidays and family events into works of art with her creativity. In contrast, and as importantly, she made quiet moments extra-ordinary, every single day: flashlight walks at night; green noodles on St. Patrick’s Day, storm watching (and splashing! ); a note in a lunch box; a favorite meal on just the right night. She never hesitated to wake up the children to show them a shooting star or see a full moon at its finest. She was a nationally recognized Needlework Arts instructor. She was actively involved in the American Needlepoint Guild (ANG) and local needlepoint groups as both a member and a nationally recognized instructor. In 1995 she was selected by ANG to represent the State of Washington by designing, stitching, and finishing a needlepoint stocking for the White House Christmas Tree. After retirement, GeorgaDee remained active in the Everett Community. She served on the Council of Neighborhoods in various positions including Chair-person. She was a participant on the City Streets Commission and other committees. When the Providence Regional Medical Center was expanding in Everett’s Northwest Neigh-borhood she served on the design advisory committee. Many people recognized her from her daily walks in North Everett; she loved to change her route to see new sights, and walked rain or shine. After losing her husband of 55 years, GeorgaDee sold their home on Rucker Avenue where she lived for over 45 years and moved to Washington Oakes Retirement Community. She instantly made friends there, and enjoyed her morning walk with “The Boys”. GeorgaDee leaves behind her daughters, WendiLee MacLeod (Ben) and MeganJo MacLeod (Jeff); her three grandchildren, (WendiLee) SamFranklin Smith, KaturahLee Smith, and OnikaRose Smith; her big sister, MaryVee Westlund; niece, AmyBeth Cook; nephew, Dennis Clark (Michelle); stepchildren, Julie Watkins, Debbie MacLeod, and Scott MacLeod. She is preceded in death by her husband, John MacLeod; her parents, George Sample Martin and Gertrude (Judy) Painter Martin; sister, CarolLee Martin; brother, Jay Martin; stepchildren, Michael MacLeod and Roxanne Monlux. Per her request there will be no services. Please make memorial donations in her name to ANG’s memorial fund (https://www.needlepoint.org/donations/)or to Panda International (https://www.pandasinternational.org/).